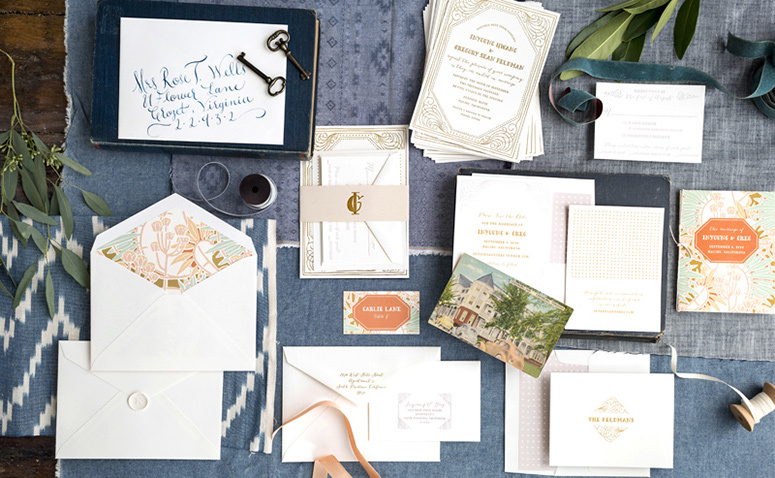 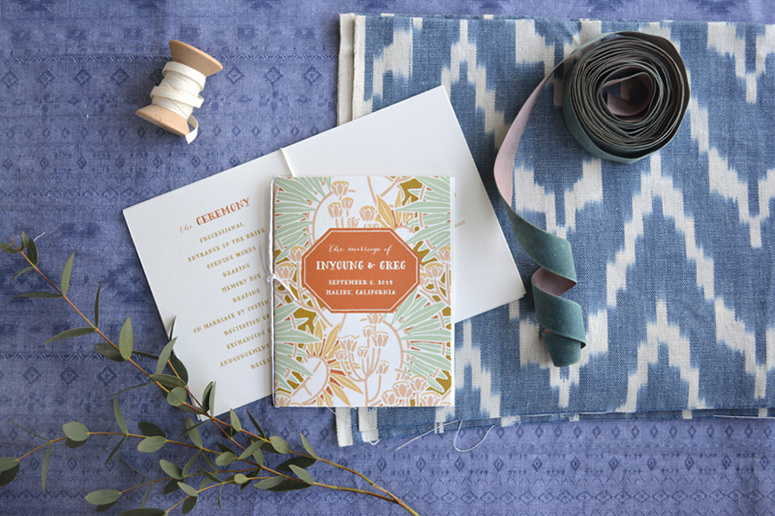 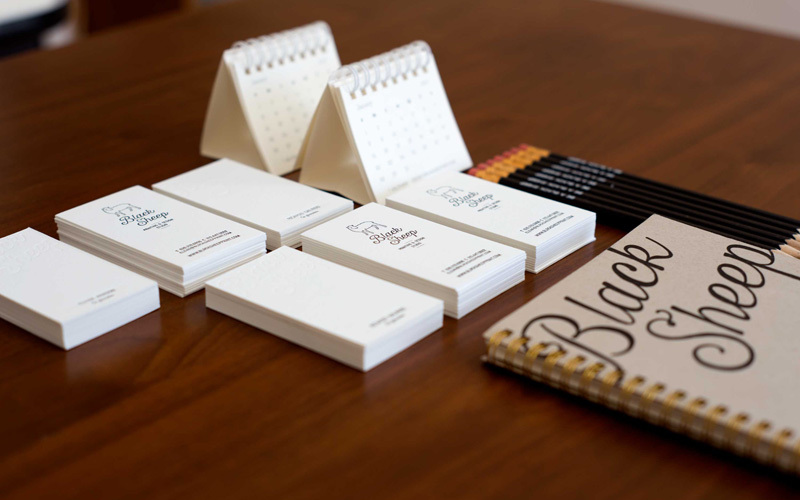 Located in Durham, North Carolina, Hello Tenfold is a boutique stationery shop offering a variety of customizable wedding invitation suites. 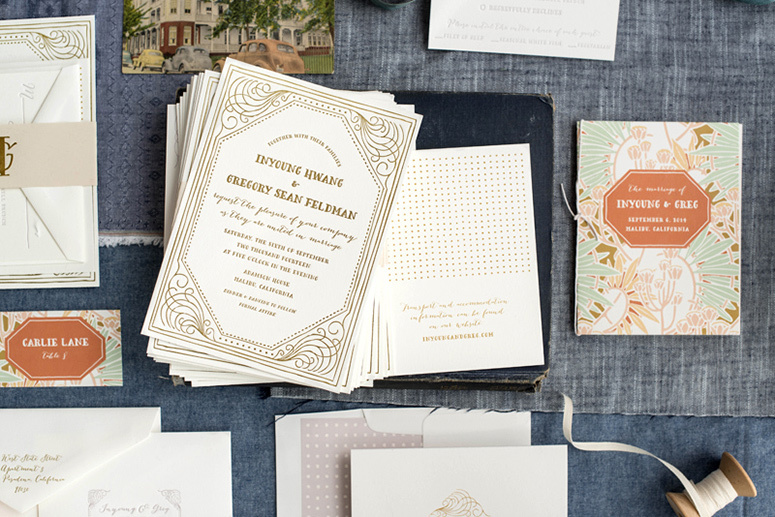 The Ella collection seen here combines matte gold letterpress with digital printing, but Hello Tenfold offers customers multiple printing options. 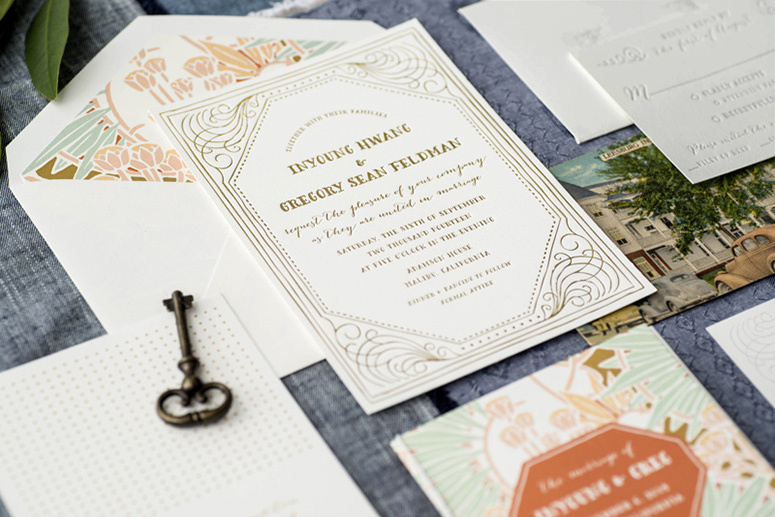 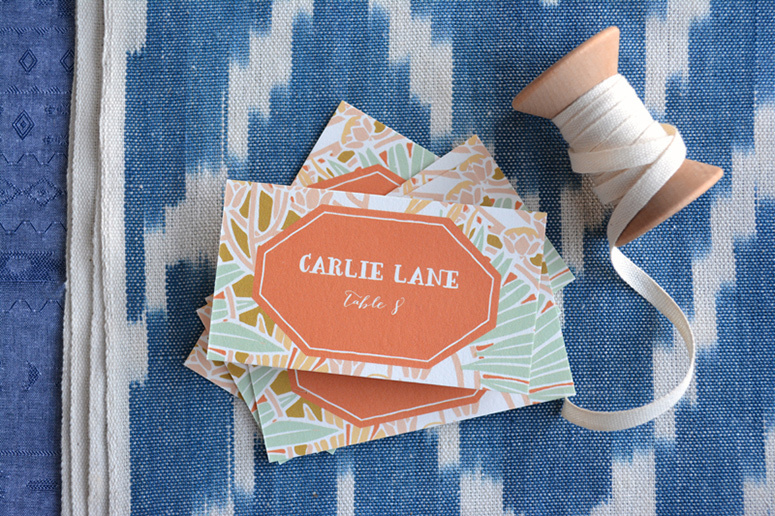 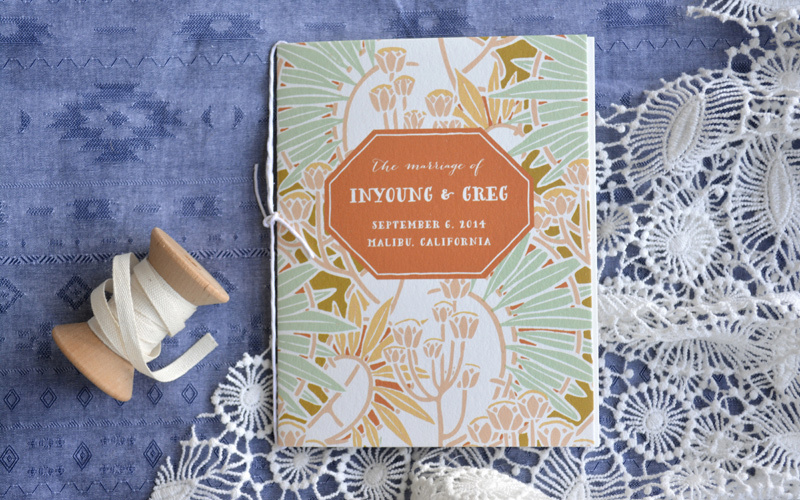 Ella is a whimsical take on formal wedding invitations with a nod to art nouveau style. 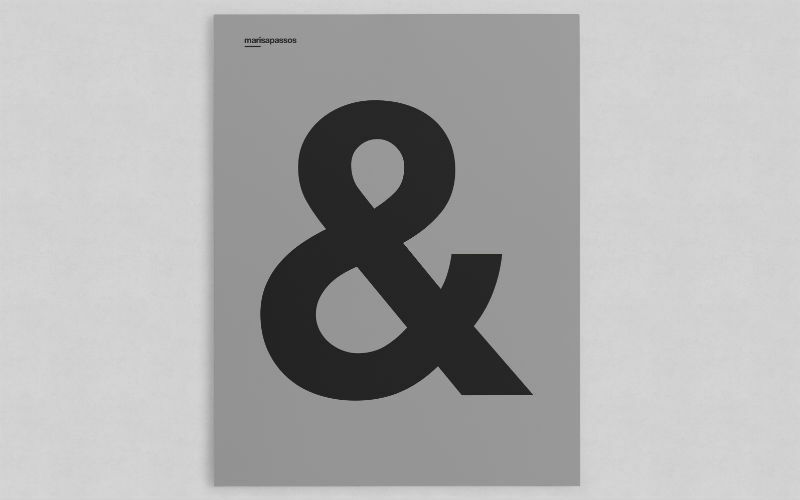 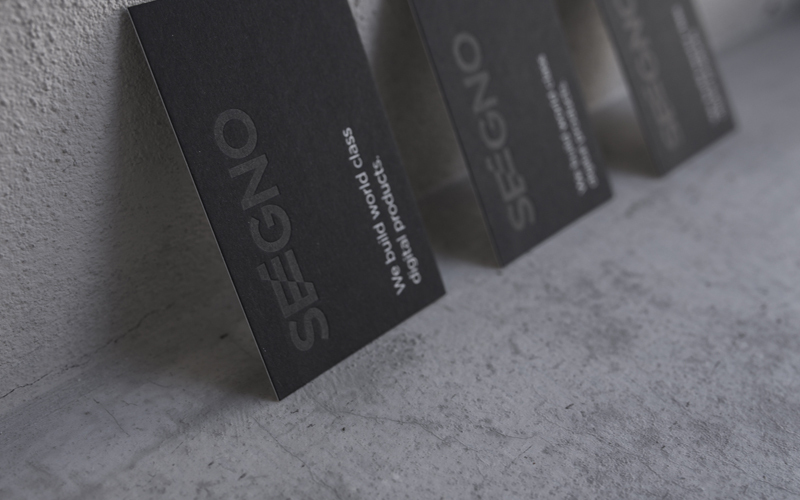 Design elements were recreated by hand to produce a slightly imperfect look. 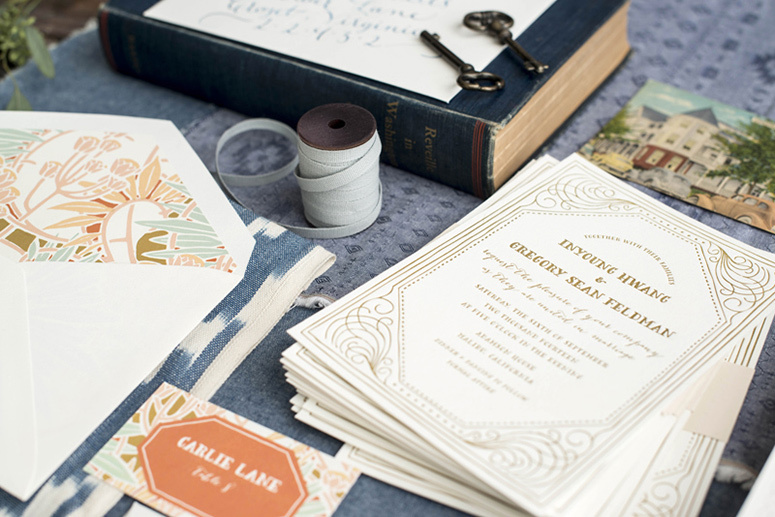 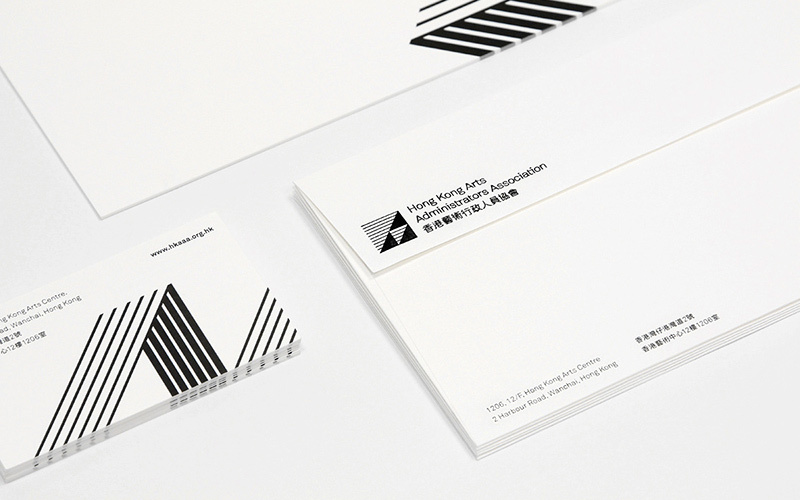 Matching colors across printing methods was a challenge, but it was necessary to do so since many of the items in this suite were not ideal candidates for letterpress. 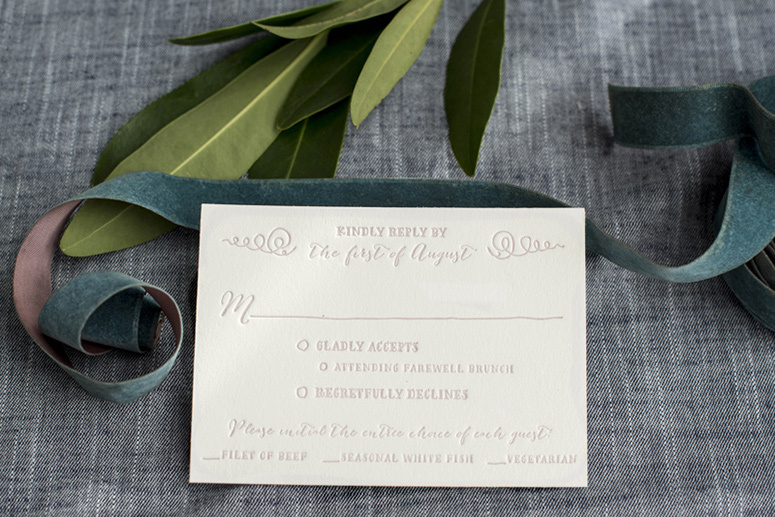 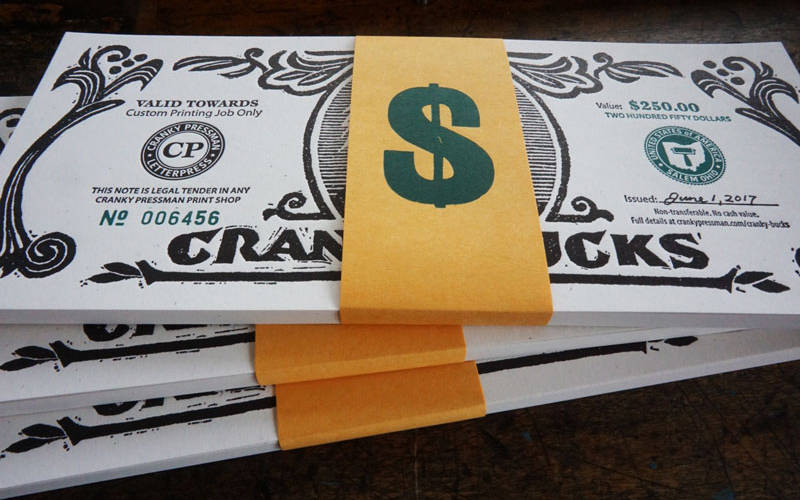 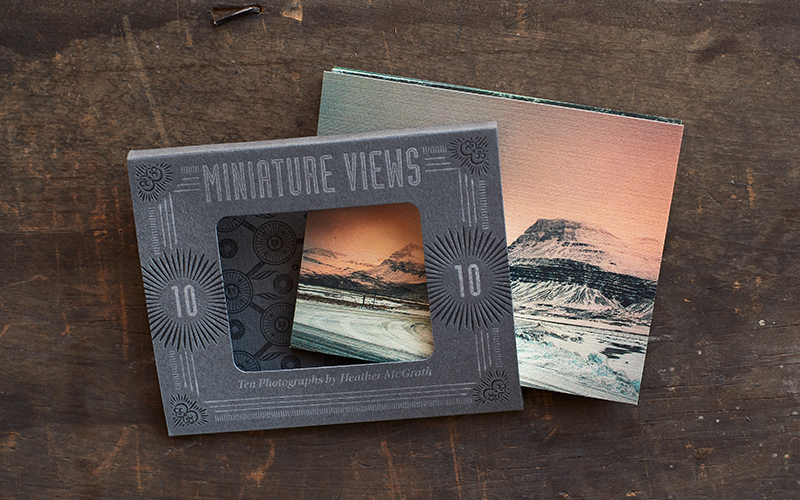 We chose to use letterpress on the main cards: the invitation, RSVP card, band, and envelopes, but chose digital printing on the other items in order to be able to use many colors and reduce printing costs. 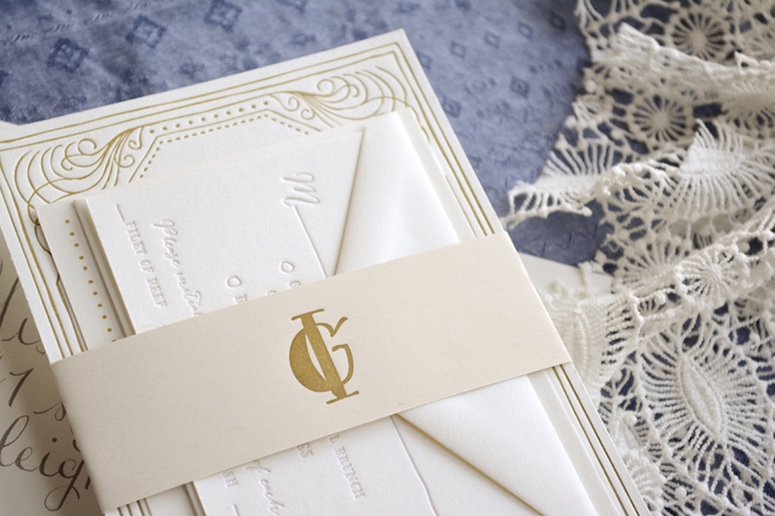 Gold foil is popular for wedding invitations right now, but we also reduced costs on the suite by opting for a matte gold ink and letterpress. 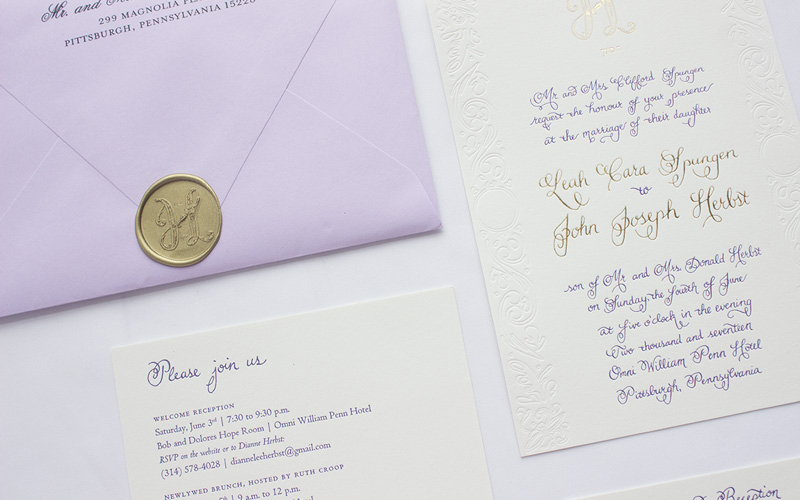 We still got the beautiful, gold look the couple was after without springing for foil.